 APIA Leichhardt Tigers have extended their unbeaten streak to five matches after scoring late in stoppage time to secure a point in a 1-1 draw against Wollongong Wolves at Win Stadium on Saturday night. The visitors went a goal down after just two minutes when Wolves striker Peter Simonoski headed home to give Wollongong an early lead. But a 93rd minute equalizer from the head of Tigers player Sean Symons rescued a point for the visitors, extending their stay at the top of the NPL NSW ladder for at least another round. Wollongong opened the scoring with the first chance of the match, with the hosts stringing a handful of passes between Steven Hayes and Yuzo Tashiro, before Tashiro passed the ball over to a waiting Simonoski on the left-hand side of the goal. The Wolves leading scorer needed no hesitation and his header lobbed over Tigers shot-stopper Ivan Necevski and into the net to give Wollongong a flying start to the match. After going a goal down early, the Tigers began to recover and came close to levelling the scores in the 18th minute after a deep cross into the box from Nathan Millgate found the head of an unmarked Howard Fondyke. But Fondyke’s header was unable to trouble the scorers, with his shot stopped by a solid catch from Wolves keeper Justin Pasfield. The Wolves came dangerously close to adding a second goal to their evening just eight minutes later thanks to a dangerous free-kick from Luke Wilkshire on the left-hand side of the field. Wilkshire’s effort skimmed across the Tigers box before finding Tashiro, whose effort rocketed off the Tigers post and back into play, where the pressing Wollongong attack was unable to add to the score. The hosts again came close to doubling their advantage in the 51st minute after a great pass from Peter Simonoski released Steven Hayes onto goal. However, Hayes was unable to work his way around Tigers keeper Ivan Necevski and his effort went straight into the path of the rushing Necevski. Despite being a goal down, the Tigers continued to press in search of an equalizer, and the side had a golden opportunity to level the scores in the 58th minute when the visitors were awarded a free-kick just outside the Wollongong box. The league’s leading scorer in Jordan Murray stepped up to take the kick and his effort managed to beat the wall but not a diving Justin Pasfield, who pulled out a top-drawer save to tip the ball around the left post and deny the Tigers once more. Pasfield was again called on to keep the Tigers out in the 84th minute when a free-kick from Sean Symons found Tasuku Sekiya in the Wollongong box. Sekiya managed to fire off a powerful effort towards the bottom left corner, only to be denied by the Wollongong shot-stopper, who soaked up the shot and ensured Wollongong remained in the lead. However, the Tigers’ attacking persistence finally paid off and the visitors levelled the scores in the third minute of stoppage time. The goal helped secure a point for the travellers and was a huge opportunity missed for the playoff-hunting Wolves. Wollongong coach Jacob Timpano was disappointed that the side conceded late but remains hopeful the side can still challenge for a top five position after picking up a point against the league leaders. “The position we put ourselves in, we should have won, but [some] poor defending, which has costed us at times during the season, has costed us again today,” he said. For Tigers coach Billy McColl, he was pleased that his side managed to grab a result against a strong defensive performance from the Wolves but noted that the side could have gotten more from the match. “It took us probably 90 minutes to find the key to that bus because it was beautifully parked, they defended like their life depended on it, they want to get into the top five and they were very hard to break down,” he said. “We had a lot of chances, but we never put them away. Substitutes Not Used: 17. Sam Gulisano, 21. Jack Armson, 22. Blake Tuxford.